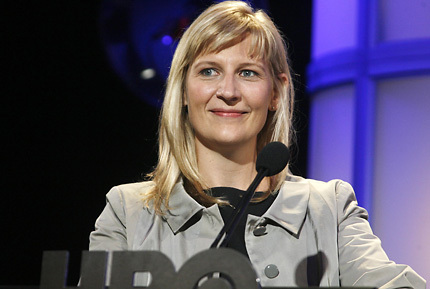 About: Sue Naegle is the current president of Home Box Entertainment, or HBO as we more commonly know it as. Time Warner Inc., which owns HBO, is a multibillion-dollar company, and employs over 34,000 people. Naegle was recognized by Forbes magazine in 2012 as the 46th most powerful woman in the world. In 2012, there were 81 nominations and 23 wins at the Prime Emmy Awards for HBO shows. Prior to her career, Naegle graduated from Indiana University Bloomington. She is also a wife and mother of three children.